Greenhouse is a meeting place for youth from the various populations and sectors of the Israeli society: Jews and Arabs, religious and secular, native Israelis and new immigrants, gifted children, at risk children, special education students and children with special needs. By cooperating and engaging in shared challenges and projects these children and teens get to know one another and manage to find common ground. 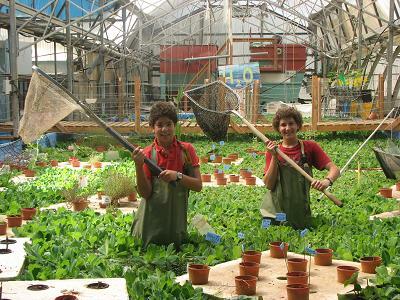 The Ecological Greenhouse was founded in 1977 by artist Avital Geva and his friends, who sought to create a place for educational innovation, a coming together of disciplines and mutual enrichment. A place that will promote different ways of thinking, initiation, curiosity and cooperation. From its early days till today, the Greenhouse has been influenced and shaped by its own pupils, who see it as a home where they can study, cook, play, produce art expeditions and more. The Greenhouse is also a place of gatherings and initiation for the various surrounding communities, a center humming with life and activity. 550 pupils in ongoing research programs and scientific classes. 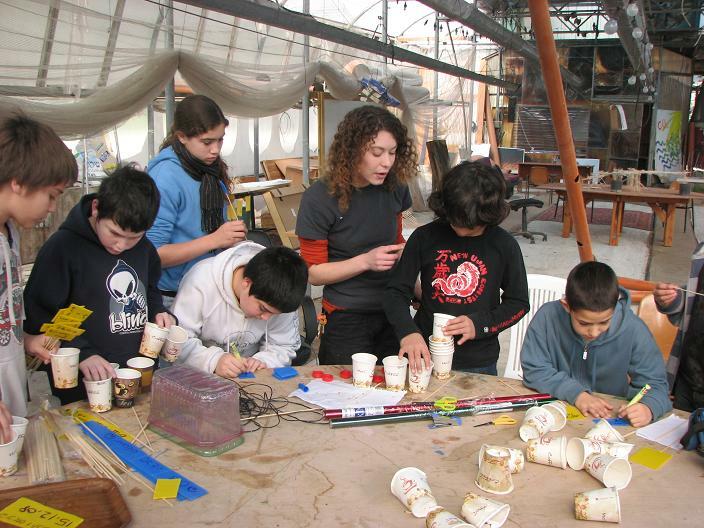 5,500 participants in enrichment courses, 2,000 of them from the Birthright Project. 500 teachers and educators from various schools on teachers’ and pedagogical courses. 2,000 families from the surrounding communities who take part in cultural, educational and ecological gatherings. 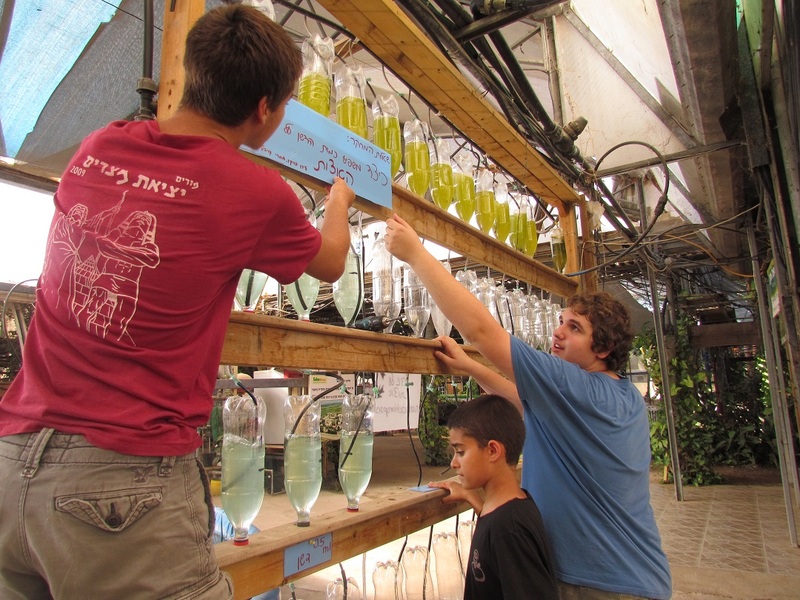 In the Greenhouse students deal with the forefront of environmental, climatic and agricultural sciences; with topics such as the cultivation of micro-seaweed, bacteria, plant-based and technological water treatments, precision farming, biological pest control, fish and zooplankton farming, biomimicry (technological solutions inspired by nature) as well as programs that integrate between art and science. Emphasize is given to the provision of research and learning skills, to implementing high level planning processes, environmental and social responsibility, contribution to the community, perseverance, thinking “outside the box”, team work and control and evaluation processes. In 1993 the Greenhouse represented Israel in the International Biennale in Venice. Demonstrating cooperation, professionalism and originality, the Greenhouse’s students planned and erected an ecological greenhouse. Throughout the years, the Greenhouse’s students have won important prizes for the originality, innovation and relevance of their research. The Greenhouse has produced prominent graduates who combine excellence and community giving, among them leaders in the software, and agricultural technology industries, in academic research and political action. The Greenhouse’s founder, Avital Geva, was awarded the 2013 Lifetime Achievement Award from the Ministry of Culture and Sport, for “the gamut of his work, whose climax is the founding and managing of the Greenhouse in his native Kibbutz, Ein-Shemer – a project which is an autarchic farm as well as a utopian idea. 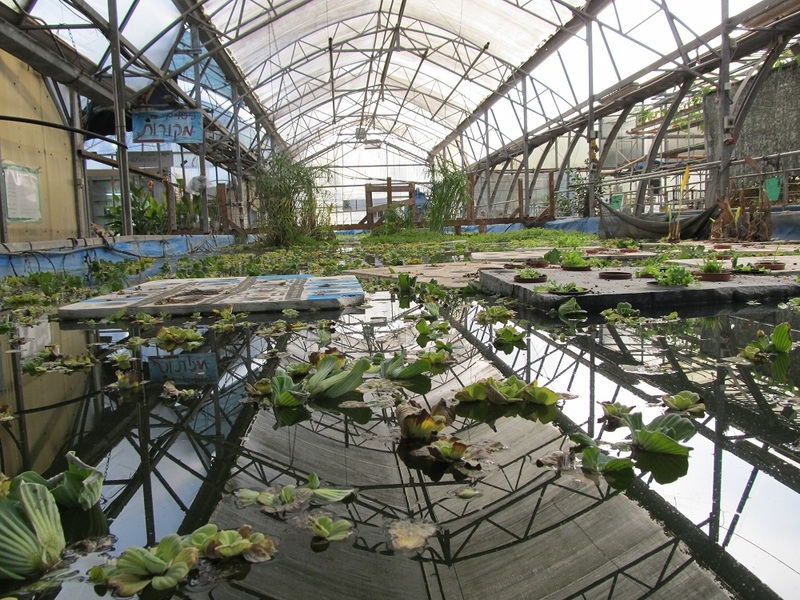 The Greenhouse, established in 1977 as an experimental lab for growing cucumbers, has evolved in the course of time into a center of research and education, combining innovative agricultural experiments under the instruction of specialists and scientists, with community and social involvement. We strongly believe in the significance that innovative educational centers with a holistic approach like the Greenhouse carry today and will carry in the future. We seek to improve and enhance this model and to assimilate it within the educational system in other locations across Israel. שנה חדשה של חוגים בחממה! מגוון אפשרויות, והכל במחיר מסובסד. תכניות לימוד, חקר ולמידה סביב פרויקט לבתי ספר על יסודיים ויסודיים בחממה האקולוגית בעין שמר! יש מקום לכל אחד להמציא, לגלות ולחקור!